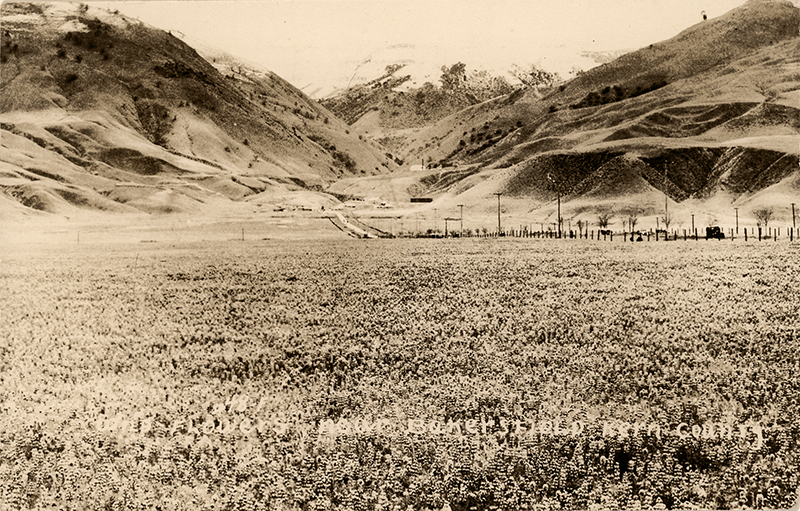 SCVHistory.com LW3406 | Ridge Route | Wildflowers, Grapevine Area, 1937. Real photo postcard, postally used, canceled at Bakersfield, October 3, 1937. Addressed to Mrs. D. Sheller(?) of Artesia, Calif., from "Isabel." 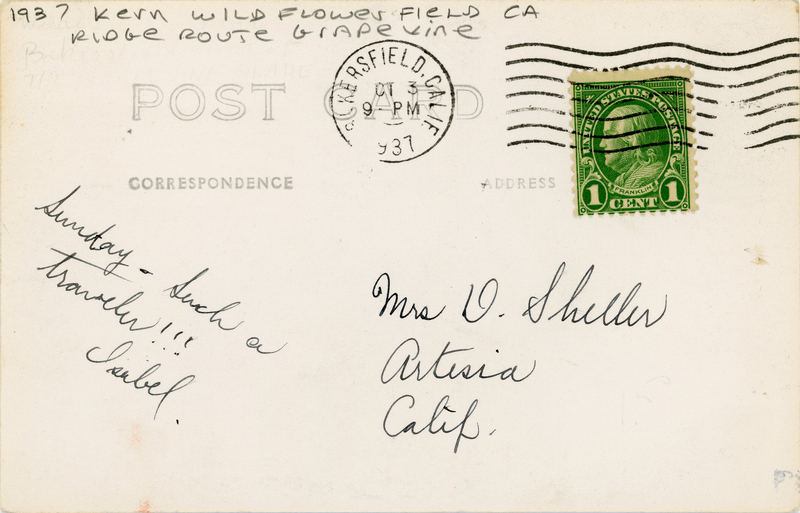 Printing on face of postcard reads, "Wild flowers near Bakersfield Kern County." LW3406: 9600 dpi jpeg from original postcard purchased 2018 by Leon Worden.